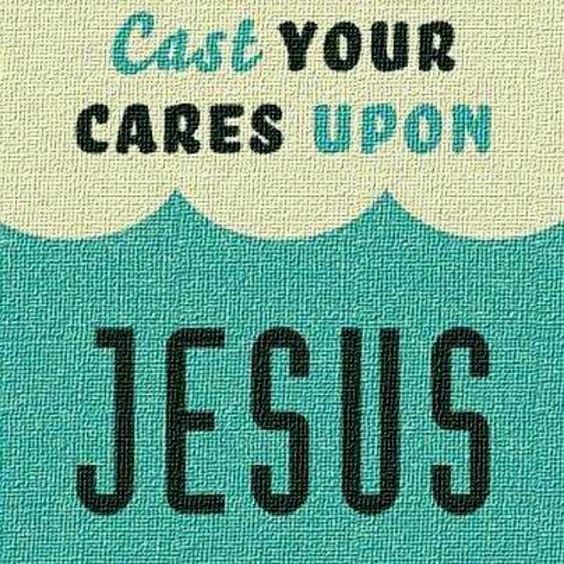 Forfeit your fears and hurl all of your burdens and concerns onto Me, says the LORD. Stop fretting over what was or will be. The past is forgiven and now history. Do not focus on it. Your future is securely fixed in My hands. Your destiny is sealed in My keeping and so are you. I have sealed you in My Spirit and sheltered you and covered you with My feathers under My winds. You do not need to try to figure out or analyze everything that pertains to you and your loved ones and the future that is in My hands and control. As I order your steps, trust that I know the way that you take and I prepare it for you. You do not have to fear falling as long as you allow Me to direct your steps. Just hold onto My unfailing hand and do not concern yourself with anything. I will keep you from falling and failure is not an option. FEAR NOT! I Am with you now and always. Do not wring your hands and do not waste your time thinking and planning and fretting about things that are not for you to even consider. CONSIDER ME! I Am the author and finisher of your life, and I do all things WELL, says the LORD. Rest in Me! Did you think that I would leave you vulnerable to attack and the unknown future? I have your back. I Am the One called along side to HELP. Help is not on the way, I Am with you NOW! I Am your everything and nothing is missing or overlooked in you and your life. I Am a GOD of detail and have planned for your life before the foundations of the earth. So why do you concern yourself about the unknown future that is known to ME, I ask? I will not forsake you nor My plan and purpose for you that is already written. I will complete you in ME, take care of you today and your future is in MY hands. I cannot fail and you will not. I will finish the good work that I have begun in you, and there is NO POWER that can alter Me, My purpose for you and your destiny in ME, says the LORD.